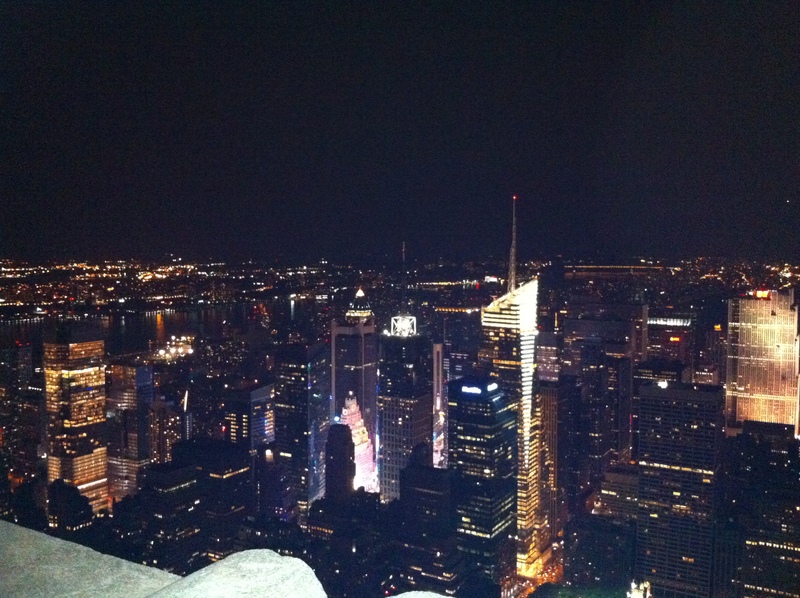 The view from the Empire State Building, taken with my phone. I suppose I could've tried harder to get a good scenery shot, but there were birds to see! This weekend I joined the New York State Young Birders to do a bit of city birding. On Sunday, 9/26, we visited Central Park–a classic place for all sorts of migrating passerines. But the night before (yes, the night before), we birded a spot far more unorthodox–the 86th floor of the Empire State Building. 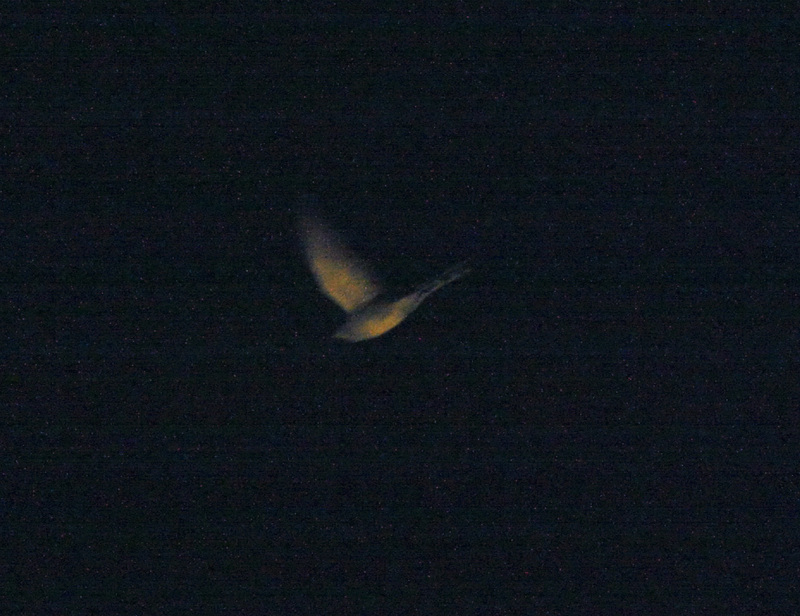 As many birders know, many songbirds choose nighttime to migrate. This is probably due to a combination of factors–a cooler and more stable atmosphere, a decreased risk of predators (more on this in a bit), and more time to do other stuff during the day. 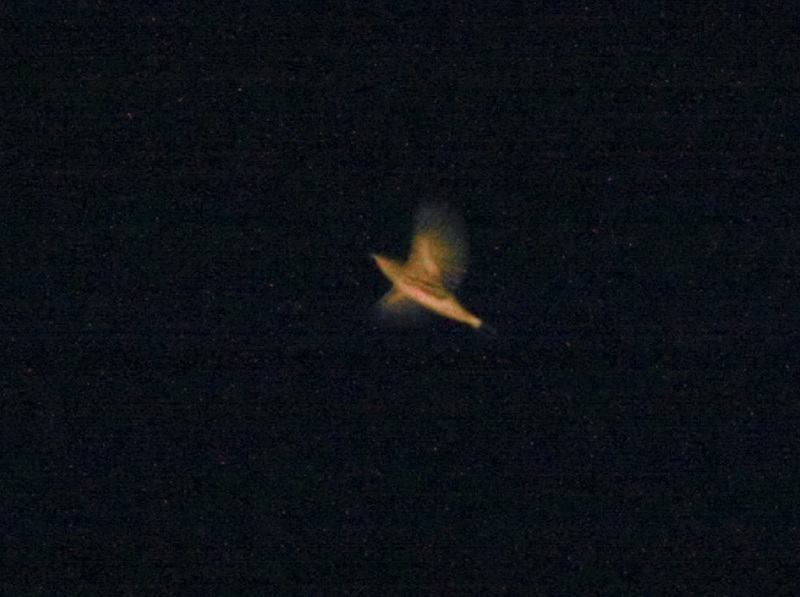 On Saturday night, we got lucky by picking a night when there was a large amount of migration taking place. We saw over 800 birds (visible because of the floodlights on the top of the building) flying south from about 9:30-11 pm, and it was quite a sight. So how does one bird the Empire State Building? First, buy a ticket online, at esbnyc.com. They’re $20 a piece. Then, get to the building a little after sundown–it can take a long time to get through all the lines. I arrived at the building at 8 and didn’t get to the 86th floor observatory until 9. In the fall, position yourself at the northwest corner of the building, and look up. Birds can be seen crossing the top of the building or flying around the side. Be careful of moths, because they can sometimes seem like birds. 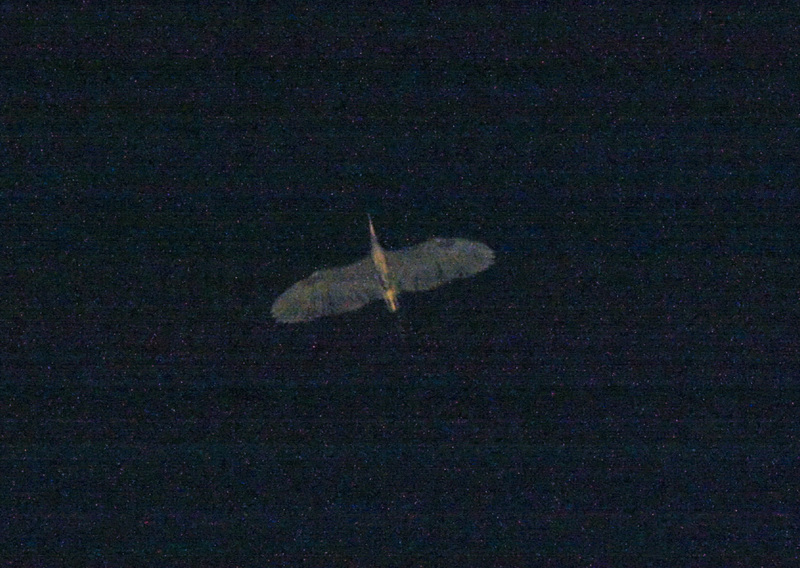 But moths are generally much smaller, fly more erratically, and if there’s a substantial wind they will get pushed in the direction it’s going very easily. 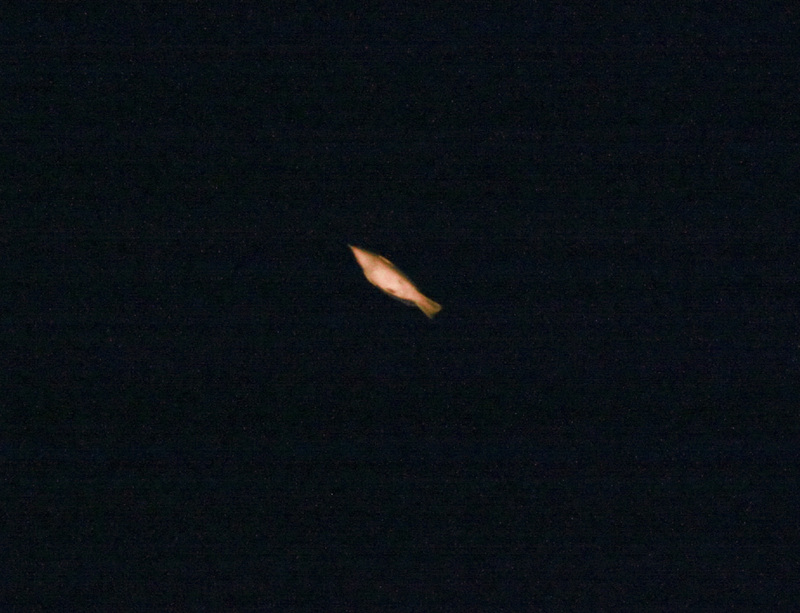 We saw some interesting stuff up there, both species-wise and behavior-wise. In addition to warblers, vireos, thrushes, catbirds, grosbeaks, cuckoos, and your other normal nocturnally migrating passerines, we saw two heron-like birds, as well as a small flock of Canada Geese. We also saw a few Northern Flickers (distinctive) and a Downy Woodpecker or two. I’m sure I’m forgetting some birds, but the vast majority were a real challenge to identify–the floodlights make everything look pale yellow, and unless the bird is really low and has distinctive markings (e.g., Northern Flicker, Rose-breasted Grosbeak, Downy Woodpecker, etc.) it is very tough to ID to species. As the night progressed, birds started appearing more grouped together–many birds came through in groups of 4 or 5, and we had one loose group of 12 at around 10:30. On a couple of occasions, birds also interacted with one another, chasing each other around (like what I’ve seen in morning flight). Interesting . . . I did managed to get some photos of these birds. They redefine the term “crappy photo,” but you can get an idea of the kind of views we got of these birds. We tentatively called this a Great Blue Heron. The weird thing is that the trailing feet aren't visible. Not sure what to make of that (maybe they're just not that reflective). Like us, Peregrine Falcons take advantage of the lights. We saw at least 15 chases and about 4 successful kills--it just plucked songbirds right out of the air! It was a really fun and interesting experience–I’d love to get up there again and try different camera settings to see if I can pull off any better shots. Plus it really tests your knowledge of structure and flight pattern while giving you almost no color information to work with. A good way to improve your ID skills. But that wasn’t the whole trip. We met at 7:30 am the following morning to bird Central Park. One might think, with all the birds flying by during the preceding night, the park would be saturated with birds. But, unfortunately, a massive nocturnal flight doesn’t always translate into a banner day the following morning. We had excellent diversity, though. The trip started out in Strawberry Fields, and we soon ran into our first migrants–Northern Parula and Blackpoll Warbler. Brown Thrashers started calling from the thickets (we would see at least 10 over the course of the morning), and a couple people caught a glimpse of a Gray-cheeked Thrush (not me). The overall bird numbers were disappointingly low, but we pressed on. On the south part of the field we encountered another small group of birds. 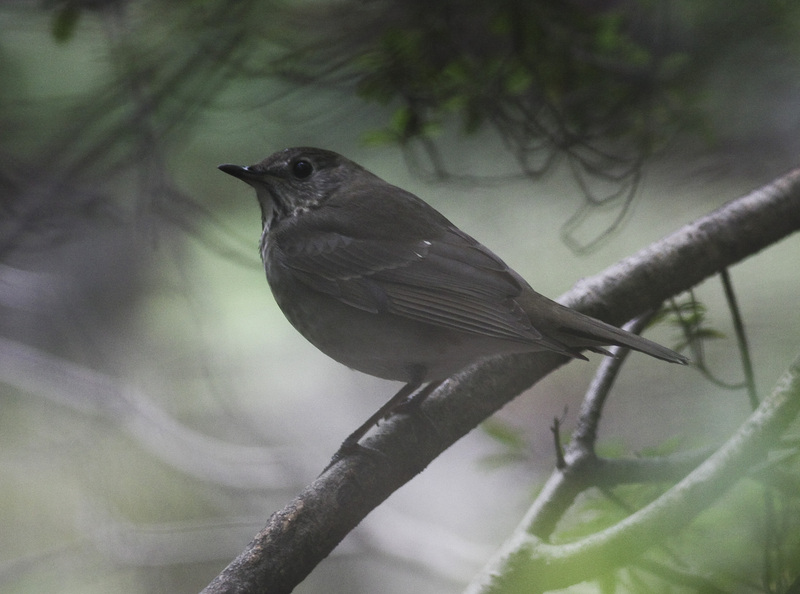 A couple Swainson’s Thrushes and–wait–another Gray-cheeked (only one person saw this one). Palm and Blackpoll Warblers showed up, as did White-throated Sparrow, Eastern Phoebe, and our highlight of the day–a brightly patterned Yellow-bellied Flycatcher. Also spotted was a Common Nighthawk, an unusual (and slightly late) migrant in the park. We pressed on, finding more thrashers and some scattered warblers (we added Black-throated Blue). Swamp Sparrows called, and above us flew American Kestrels and an Osprey. Moving north, we headed to the Ramble, a spot well-known for warblers. It paid off–we stayed there for the rest of the morning and found many birds within its bounds, including an impressive amount of Swainson’s Thrushes and a few more Gray-cheeked (I finally saw one)! Azalea Pond was a particularly good spot–Magnolia and Black-and-white Warblers, Purple Finches, Winter Wren and Wood Thrush all appeared nearby. Other migrants in the vicinity included Scarlet Tanager, Pine Warbler, Indigo Bunting, American Redstart, Northern Waterthrush and a smattering of others. We ended the birding portion of the trip at Belvedere Castle, spotting Great Egret, Gadwall, Mallard, and Wood Duck on the pond below (or at least I was told that was the last birding stop–I had to leave). Thanks for sharing, very insteresting stuff! I would have never thought you could bird so succesfully on the 86th floor of the empire state building. Congratulations for this great story. Great post, Ben! Can’t believe I grew up in the city and never birded from the Empire State. What about American Bittern on the top photo? Thanks, Matt. Bittern crossed my mind when I saw the apparent lack of legs, but I’m not familiar enough with the differences between the two in terms of the structure/proportions of the body and wings to say for sure (and it could just be the legs aren’t as reflective). I sent the photo to Marshall though so we’ll see what he thinks. Never thought about birding up in the Empire State Building that sounds so cool. I will have to make a trip there and see what types of birds I can find. Good job getting those pics from the ESB @ 86th. I’m like others that would not have expected to see a lot from there. Being primarily from the ‘burbs, we tend to see bird movement on a much lower altitudinal scale. Mostly birds flying over trees or tree to tree to roost. Sure, I’ve seen the high level flocks but would tend to see that as an exception rather than a traveling mode. Very good of you to wait and get these pics for us. 30 years in NYC, and it never occurred to me to bird from the ESB on an autumn night. Excellent post. Thanks. Yet again I marvel at your ability to to take such fantastic shot s of birds in the middle of flight, and this time, in semi-darkness!! Just incredible! I think the cuckoo is a Yellow-billed judging by the undertail pattern. Great post! Great story, thanks Ben! Just made me think if I could try the same in some building here in Finland! Nice write-up! I’d go with Magnolia for the last warbler…the tail markings look good for it.